For young children with autism spectrum disorder (ASD) and others who have challenges in interacting and communicating, early intervention is key—and parents can play a vital role. 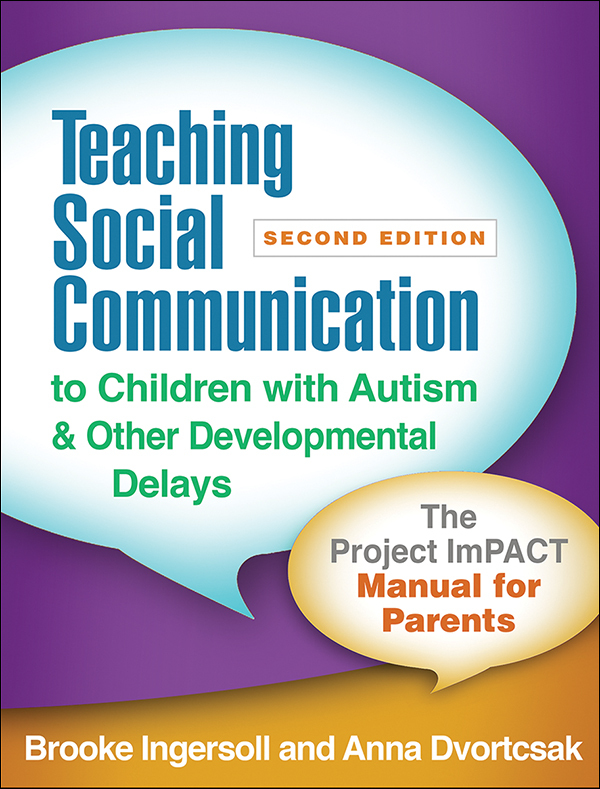 Developed through work with hundreds of families, this book presents engaging, evidence-based techniques for enriching your child's social communication skills (up to age 6). The strategies can be easily integrated into daily routines, such as meals, bath time, bed time, and play time. Designed for use as part of a therapist-guided program, the manual has a convenient large-size format and includes 20 reproducible forms. You also get access to a companion website, where you can download and print the forms for repeated use and view video clips of parents using the techniques. Professionals who want to implement Project ImPACT should purchase the authors’ two-book set (ISBN 978-1-4625-3814-0), which includes this manual plus a coach's guide. Reflects the latest research and the ongoing development of the authors' approach. Even more user-friendly; skills parents need to learn are simplified and streamlined. Chapter on managing challenging behavior. Numerous graphics to help you remember and use the strategies. Appropriate for a broader range of children, including those without an ASD diagnosis.